The journey of a product from an online shopping cart to a doorstep is complex and requires multiple stages of careful planning and painstaking attention to detail. It can be daunting to manually keep track of inventories, shipping, tracking, delivery and other aspects of the logistics process. The wealth of data generated by devices such as GPS trackers, scanners and sensors can be leveraged to gain a clearer picture of logistical hurdles and to streamline operations. By analyzing this data 3PLs can automate repetitive tasks, run simulations to test out alternatives and find the most effective ways of doing things. Data can also guide decisions and cut through the growing complexity of supply chains by providing timely and regular updates at every stage of the process – whether is in the warehouse, in transit or during the last mile. Predictive analytics and data-driven techniques can provide a better understanding of the demand for goods and make inventory management much more efficient. The analysis of data from warehouses and fulfilment centers can help identify seasonality or changes in demand patterns. Predictive algorithms can help determine optimal inventory sizes at any given time and give 3PLs the agility to respond to market conditions quickly. Businesses that partner with 3PLs can also acquire greater clarity into their own operations. By using the knowledge generated by analytics, decisions regarding investments in manufacturing capacity or expenditure on inputs can be optimized to keep inventory levels closely pegged to demand. This, for example, can prevent potential shortages or reduce expenses businesses may have to incur on excess warehousing. The growth in e-commerce and omni-channel distribution has put pressure on 3PLs to cut delivery times while also keeping costs at a minimum. As customers have come to expect quicker delivery times, greater flexibility and prompt service, even minor disruptions can have significant consequences. 3PLs must prepare for all eventualities in order to remain competitive; here predictive analytics can help work out the kinks within the process. Analyses of large amounts of data on different modes of transportation, their costs, distances and travel times can help 3PLs find out how effective each mode of transportation or a combination of them is meeting delivery times. Devices can monitor temperatures to ensure that goods are being stored and shipped under the right conditions, can assess road and traffic conditions to calculate possible delays and observe weather patterns. Predictive algorithms can use all of this data to run various scenarios and sort through millions of options to determine the best route to delivery locations. Real-time tracking makes the entire supply chain process more transparent. More accurate tracking as well as regular collection of data regarding location and physical conditions can be used to provide customers with more precise information about goods mid-trip. A clearer picture of last-mile delivery can also prevent and rectify issues such as delays, damage, loss of goods and other logistics issues that may come about at drop-off locations. Greater transparency and keeping open direct channels of correspondence with customers during delays can also improve customer experience and increase retention. The collection and analysis of data also allows businesses to be more responsive to the requests of their customers or any complaints they may have. Even after the delivery is completed, customers can provide useful information to 3PLs. Defective goods can be identified by analyzing customer behavior following a delivery and an increase in returns or help requests with regard to a certain product, could be a signal to stop shipments of other similar products thereby averting additional issues. Keeping the customer satisfied is crucial to any business, especially in a hyper-networked world where feedback and online reviews of a few customers can quickly make or break the image of a company. While costs of data centers and other resources may deter 3PLs from investing in analytics there are clear advantages to it. 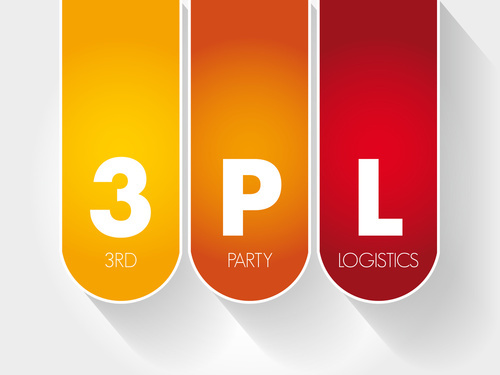 It can find cheaper and faster transportation, increase the efficiency of inventory management and improve clarity and transparency, not just for the 3PL, but also for its partners and consumers. Additionally, the longer a system runs and the more data it gathers, the more precise its predictions and more useful its prescriptions become. 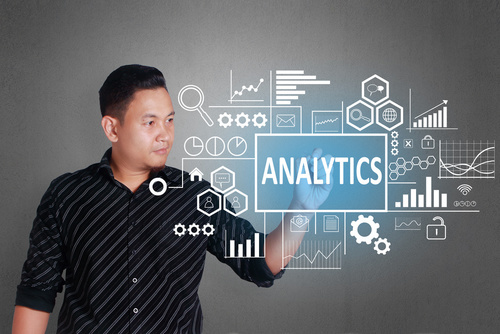 Thus, the benefits of using predictive analytics within the 3PL space are numerous.